We have another free pattern for you this week! 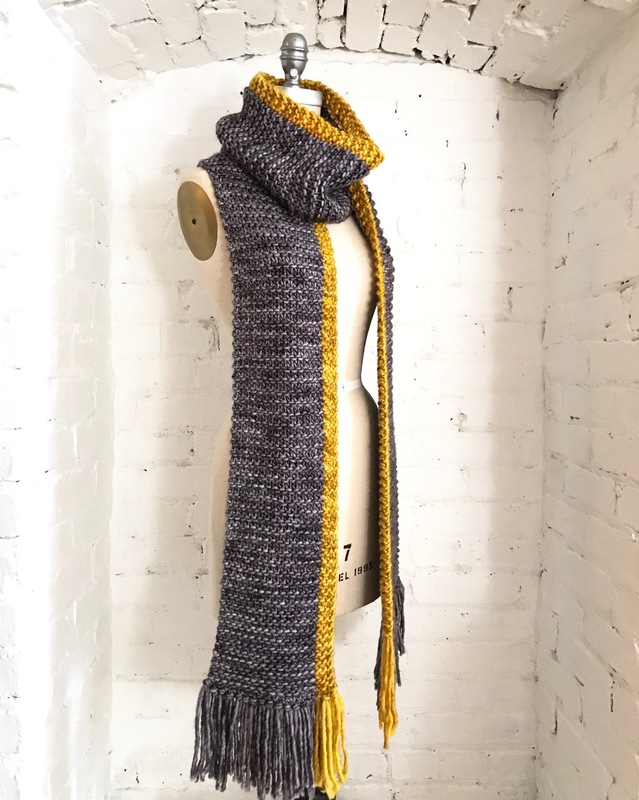 Fast Track is a striking scarf that, as its name suggests, works up gratifyingly quickly with superbulky Madelinetosh ASAP on large needles. The “racing” stripe along one side adds some edge to the simple design. Our version is super long for maximum Dr Who-like impact. However, if you prefer a shorter length, two skeins (instead of 3) of the main colour will yield a scarf of about 70” (not including the fab fringe!). Get all the details, exact yardages, and more photos on Ravelry. SHOP Madelinetosh ASAP in our webstore. Good for Hufflepuffs! I think I will order this wool!